The Mexican Shrimp Plant - Justicia brandegeeana is a gorgeous ornamental flowering plant from the subtropical forests of Mexico. Seen only as a houseplant in northern Europe it also makes for an excellent summer bedding plant, but in warmer temperate or subtropical regions it is a fantastic evergreen shrub for those hard to plant shady positions. As houseplants go the shrimp plant is fairly vigorous, growing up to approximately 1 meter in height and 50 centimetres wide. Usually purchased in the spring in 3 inch pots, the shrimp plant can be potted on in March into 5-6 inch pots using a good quality compost such as John Innes 'No 2 or 3'. Over the summer the plants will need to be kept cool and well-ventilated, but if they are hardened off and kept outside for the summer they will be quite happy in a damp shaded position with high humidity. If kept inside, the high humidity of the kitchen or bathroom will provide suitable conditions but if placed elsewhere an occasional spray with tepid water will do the trick. Water freely from March to November, but over the winter you will need to reduce watering to keep the compost just on the moist side. Do not allow the roots to become waterlogged over this period as cold, wet conditions can allow your shrimp plant to succumb to fungal root rots. During the growing period apply as liquid soluble fertilizer every week or so, usually from May to September. 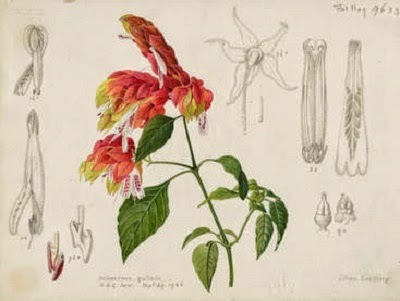 Do not allow the shrimp plant to experience temperatures below 7 degrees Celsius. 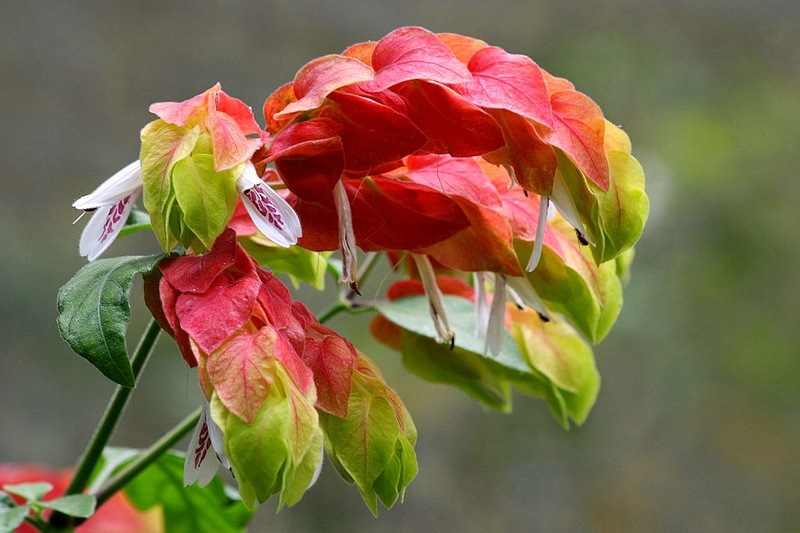 When growing the shrimp plant as an evergreen shrub in the garden you will need to site it in a damp. but well-drained position in the shade. It will prefer a sandy, loamy soil and once established is surprisingly drought tolerant. It will not require mulching or applications of liquid fertiliser. Remove the first bracts of young plants to encourage sturdy, free-flowering plants. In February, cut the main stems back lightly to encourage a more compact and ornamental shape.